It’s been 4 months since I last gave an update on how I’ve been evolving my blog. These updates are beginning to become less frequent because I think that I have my blog set up pretty much the way I want it. However, I did implement a number of small modifications since then so here is a list of the changes and improvements I’ve made during the past 4 months. In these "Blog Update" posts I list any notable improvements, modifications, or milestones related to my blog such as new plugins installed, design changes, or new features. However, I only list things here that I haven’t already announced or touched on in other posts. You may wonder why I make these Blog Update posts, where I mention very small or seemingly unimportant improvements and modifications. Well, while they may not seem too notable by themselves, over time these small things can (and do) make a big impact. The key is to keep looking over your blog or site with a very critical eye and to constantly try improving it. By simply making small improvements here and there, my blog has evolved by leaps and bounds since its genesis four years ago. So, maybe you’ll pick up an idea or two by reading my blog updates. Feel free to search for my past Blog Update posts to get even more ideas on how you can improve your blog. I used to do everything in my power to increase my number of RSS subscribers, and would even hold contests and giveaways in order to do so. However, that was about a year ago when I was focusing my attention more on growing my blog. I then started getting into promoting affiliate networks and my attention shifted towards gaining referrals instead of blog traffic. 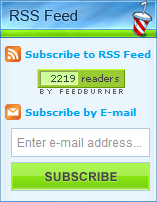 As a result, it took 6-months for my RSS to jump from 2,000 to my new record which hit this morning: 2,219! Not the best growth, haha, and completely way off my goal of hitting 4,000 by the end of the year, but it’s growth nonetheless so I’m happy with it. I always like to keep up-to-date with the latest WordPress versions to help protect myself from any security or bug exploits. This plugin lets you embed flash files into your posts such as Camtasia or games. You can download the Kimili Flash Embed Plugin for free. I waited for this fix for a very long time – perhaps a year. Basically, it is a very important fix that essentially makes the plugin work again as it stopped working when Digg changed part of their site a long time ago. The plugin can be downloaded for free at http://www.aviransplace.com/digg-this-wordpress-plugin/. Beware though that it has very sloppy and outdated documentation. I occasionally have Guest Posters post on my blog and I upgrade their account to Contributor status so that they can submit posts. When their posts are published, their names are linked from the top of the post to their websites as written in their user profile. I also edited the search.php template to modify the author link there as well. I changed the settings in the Ninja Affiliate Plugin so that affiliate links open up in new windows. I also started making all external links open in new windows when I write posts and manually enter links. I used to never open links in new windows on my sites as I felt that if users really wanted to come back to my site, they’d hit back on their browser. I now feel that is stupid logic and have converted to spawning new windows for external links. First, I created 3 new categories: "Guest Posts", "Contests", and “Affiliate Marketing”. Then, in order to make use of these new categories, all of the past posts from the very beginning of my blog were modified by hand to have their category changed (if applicable to any of the 3 new categories). I have a total of 664 posts on my blog so this was no small task. But now that it’s done, posts are organized much better. You can peruse through the categories section midway down the right column on the site. I increased the price of my Paid Reviews from $175 to $200. I started getting an influx of paid reviews (I actually have 4 in the queue currently) and so the price increase was warranted. Plus, I felt it was justified with 200+ more targeted RSS subscribers (that works out to $0.11 per targeted reader, which is really a bargain in this niche). I’m always looking for more guest bloggers to occasionally submit posts on my blog. Why do I want guest posters? It’s simple really: there are times when I’m too busy to write a new post and could really use a guest post to fill in the gap. Since I try to post every day, having a few guest posts on file for when I need them is very useful. 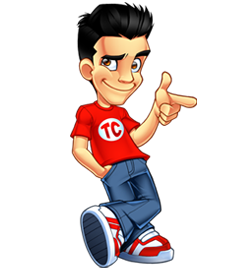 I’m looking for good writers who can write about affiliate marketing, making money online, blogging, marketing, or web development and the articles/posts must be written specifically and exclusively for TylerCruz.com. In return, you’ll have your name attached to each post which can be linked to your own website. This is not so much for backlinks as it is to gain a bit of exposure and traffic. I’m also fine with you writing a small blurb (1-2 sentences) plugging your own blog within the actual post, either at the very beginning or end. The way it currently works is once a guest blogger submits a draft, and when I don’t have time to write a blog post, I then publish the draft into a post on the site. If you’re interested, please contact me with a sample post or two. If I think your writing style and post-length is suitable for my blog, I’ll upgrade your account to Contributor status within WordPress, and you can submit a post whenever you’re willing! You have done a great job keeping this blog going while having so many other projects on the side! I hope that you will find a couple of good writers who will help you lighten the work load. My rss subscribers have been a little schizo lately, so it’ll be nice to direct traffic with a guest post.. Since I got a couple of interesting topics lined up, I might as well consider giving it a try..
great milestone you have achieved on the RSS readership! Congratz on the readership count. Thanks for the code, I was having troubles with that on my blog. I run a how to article website where people can earn money for writing. If you need someone for a guest post…I’d be happy to! You are raising your prices again! HMPH! thats nice.. i haven’t tried dat ninja affiliate plugin before.. may be i should give it a shot!